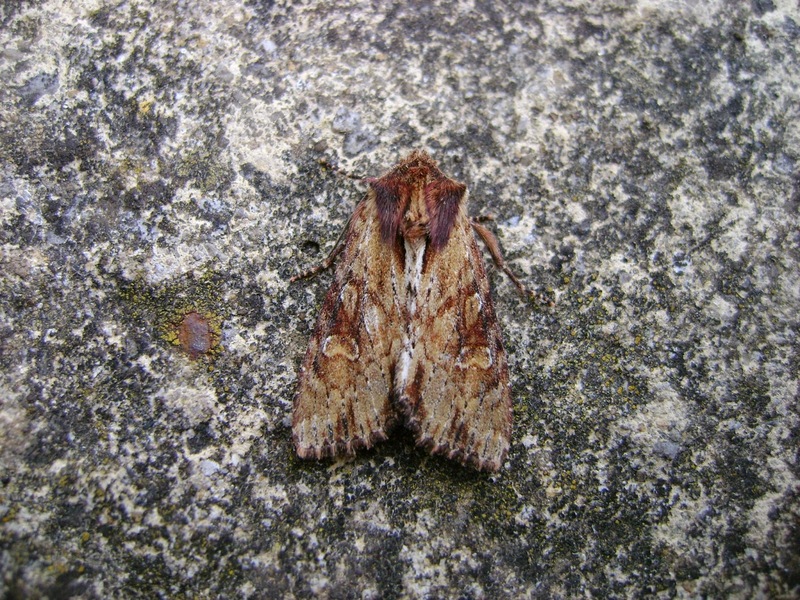 Had four traps out last night (2/5), two in the garden at Tyrwaun, Pwll (MV & actinic) and two `mobile actinics` left overnight just E of Burry Port. 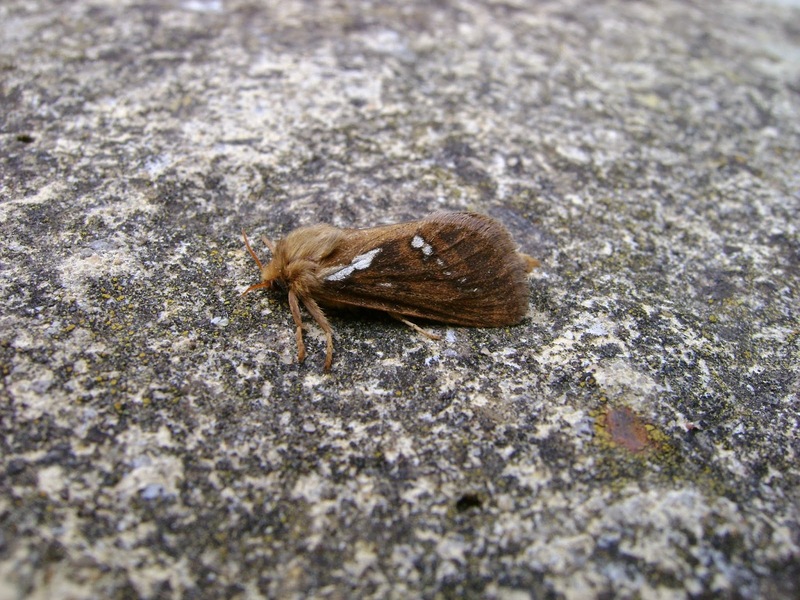 Had just over 40 species in total, with the home traps performing best. 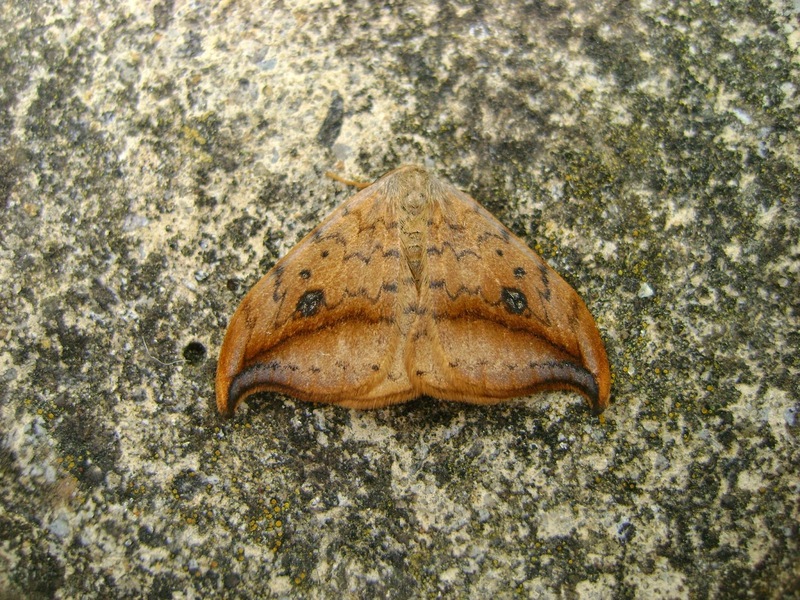 At the two actinics left right on the coastline near Burry Port, the numbers were quite poor, but there was another female emperor in one trap, a very early sharp-angled peacock and likewise an early male common swift. 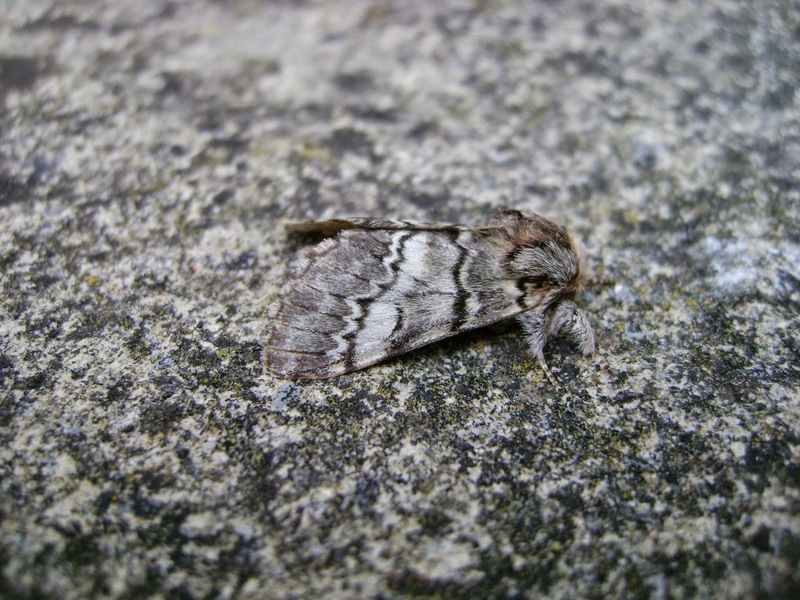 The two home traps fared better, with FFY pale tussock, FFY pebble hook-tip, FFY waved umber, FFY cabbage moth, FFY figure of 80, FFY peach blossom, FFY small seraphim, FFY garden carpet and FFY clouded-bordered brindle. 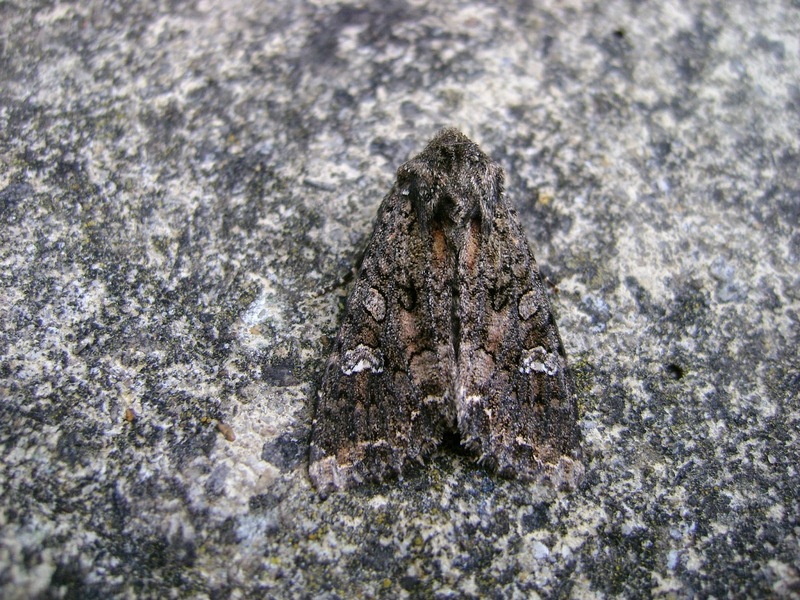 Another female emperor was caught, as was an oak nycteoline. 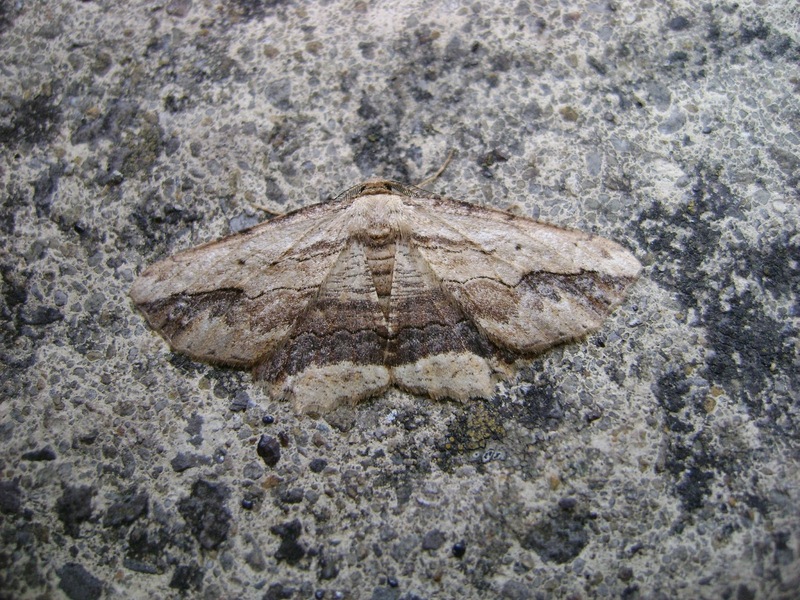 Above: waved umber, a very local privet and lilac-feeder in Carms. Above: the reason why I stopped growing cabbages! 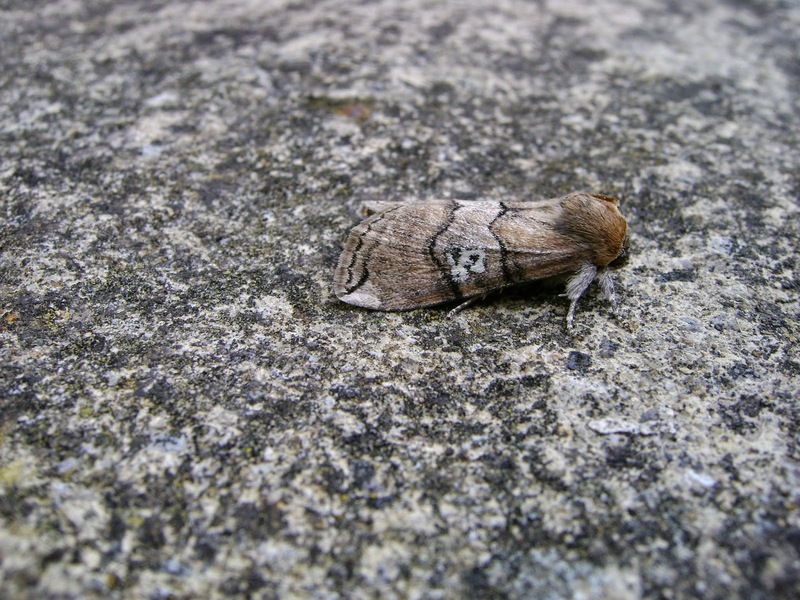 - a cabbage moth. Above: figure of 80, a local poplar and aspen feeder. 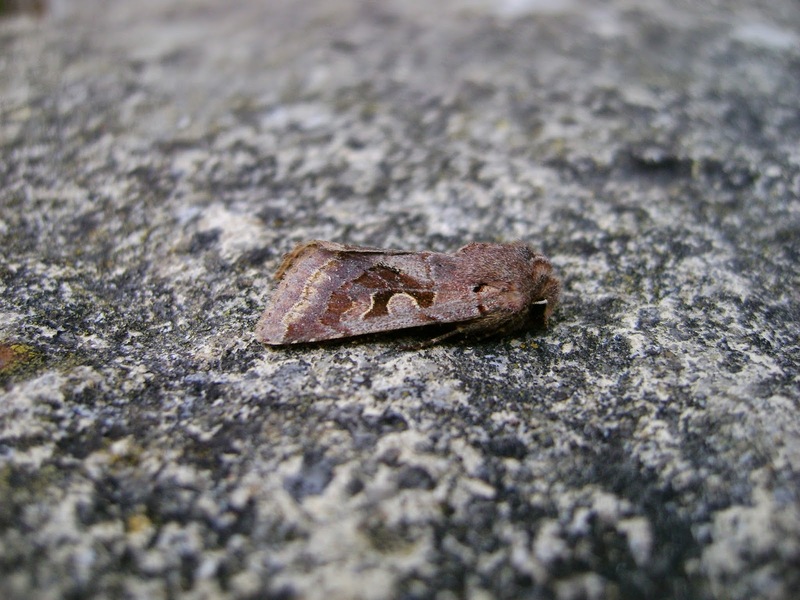 Above: I also had this hebrew character with brown, rather than black, markings. My head is like a cabbage, after getting up at 5.00 this morning!